Our gardening store at Yard 41 in Howick opened July 2016. 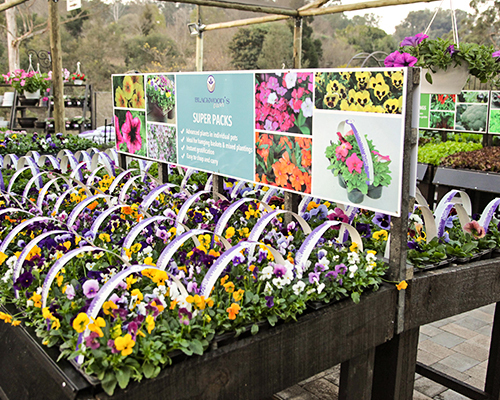 This plush modern store is the latest addition to the Blackwood’s group of retail garden outlets joining Blackwood’s Home of Gardening in Pietermaritzburg in serving the public of KZN. Blackwood’s Gardenette is compact and cosy, engendering a culture of quick and convenient shopping for all your gardening needs. Our shop is brim full of colourful flora for the garden, beautiful house plants for brightening up indoors and top quality herbs and vegetable seedlings for growing your own food gardens. Besides all the latest in plants and shrubs the Gardenette provides a select range of other accessories from seeds and bulbs to compost and fertiliser, pesticides and tools. From an ornamental perspective, enjoy shopping for pots and containers, attractive metal archways and arbours to everything you require for feeding and providing water for birds in the garden. The store features gifts and gifting ideas in a prominent manner. Blackwood’s gift vouchers are available, both in-store and online for your convenience. The store is largely self service, with helpful staff on hand to assist when necessary.